For those with a disability, everyday life can be a challenge in many ways. For instance, the way most homes are designed throws up a range of problems. Getting out and about, especially on public transport or in busy shopping areas, can be difficult. Another problem people with a disability face is staying fit and active. However, there are a number of things that can help. A few small changes around the home, or buying the right mobility equipment, for example, can make a huge difference to day to day living with a disability. Changes to be applied at home range from small adjustments to larger modifications. Bigger and more critical changes may include altering stairs to become ramps for wheelchair users. Smaller changes include adding grab bars, most importantly in regularly used places. Grab bars on the bath, shower, toilet, next to the sofa etc.. can make everyday tasks much easier. Ideally, floors should be carpeted where they can, as hard floors can pose slipping dangers. However if the price of changing flooring is a problem, non skid mats can be placed along a hallway or in the kitchen, to prevent possible slips and falls. Keeping chairs and tables low can help wheelchair users pull themselves in and out of furniture. This needn’t involve buying specialist furniture as everyday items can be easily shortened. Keeping plenty of mobility equipment in the home, such as walking sticks and walking frames, can help those living with a disability. Disabled equipment can provide valuable support for getting around. Other key equipment includes reaching aids, which provide a safe and effective way of reaching objects placed on high shelves. Average cars have not been designed for those living with a disability and often the features or sizes within the vehicle can make things difficult. Mobility cars are specially designed for those living with a disability and can offer the freedom of driving ones own vehicle but adapted to work around you. Mobility scooters are designed for those who get tired easily from walking or can’t walk long distances. Mobility scooters can make the difficult trip to the shops a far easier experience and also gives you somewhere to hang your shopping. Living with a disability doesn’t mean that our fitness levels can’t be kept up. Fitness can be attributed to any part of the body and calories are burned, regardless of which part you move. It’s always important to speak to a doctor or physiotherapist before embarking on any new exercise regime. But often it only requires a slight modification of an existing exercise move to make it work for someone living with a disability. 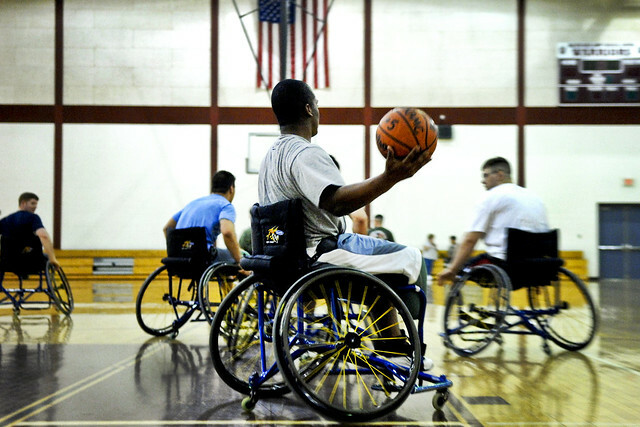 Many stretches for example can still be done in a wheelchair. Any movement such as cooking, washing up and getting dressed requires energy, so maintaining as many day to day activities as you can will keep you fit. Short sessions of fitness are still valuable, so even if you can only walk a short while, it’s still worth doing. Making a few changes to everyday life from your home to your vehicle can make things far easier for those living with a disability. Whether it’s buying the right equipment or getting a bit more exercise, living with a disability is all about adapting your environment to suit your needs. Article written by Francesca who lives and works in the UK. She currently writes on behalf of Quest 88, a company which produces Quest 88 disabled equipment. Can a Disability Lawyer Help Get My Claim Approved? Getting through aches, pains and strains, what is available to help?